Randon Carvel’s wide range of commercial and residential property development expertise sets him apart from a general real estate agent. He helps customers looking for commercial real estate investments; customers looking to buy a lot and build a significant residence; and customers who need an agent who can re-envision a property. Randon has been successful in straight commissioned sales and marketing for more than thirty years. 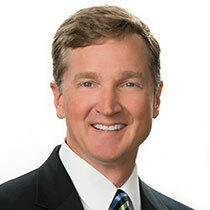 His career spans experience in manufactured global products, real estate, as well as construction and development of both residential and commercial projects throughout the Southeast. He has also conceived, constructed, managed and sold two successful companies. One specializing in out-patient diagnostic imaging services and a second specializing in real estate investments with a long term hold focus. Randon helps others looking to purchase or sell property by using his unique insights and by utilizing his past experiences in property development and real estate investing.